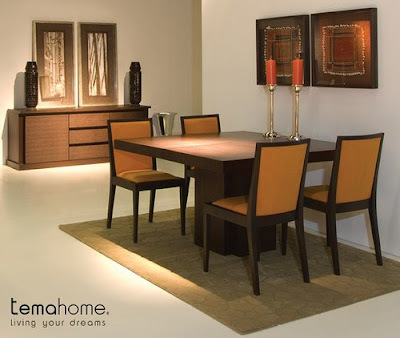 Successfully uniting two seemingly diverging designs – classic and modern – the Dusk chocolate dining set was intended to differentiate a room and set it free from any stereotyped designations. Rather than being marked by one single characteristic, it brings the attention to the smallest details, from the laser-cut precision of the four square-top table to the thicker outer elements of the sideboard. A combined creation of designers Filipe Alarcão and Délio Vicente, it makes for a pleasant ambient with dazzling and yet subtle effects, whatever perspective you see it from.